Efficiency and safety are among the top priorities in a work environment such as warehouses and other workplaces. A good overview of the workspace improves both safety and efficiency. By giving your employees a good overview of their work environment, they are aware of their surroundings, vehicles approaching and the whereabouts of their colleagues. This means they are able to anticipate dangerous situations and prevent accidents. By improving safety and preventing accidents the efficiency of your work environment improves as well. One of the products that can provide you with this overview is the convex mirror. At JekaShop we offer different types of convex mirrors. A convex mirror, or simply put a curved mirror, is a mirror in which the reflective surface bulges toward the light source. 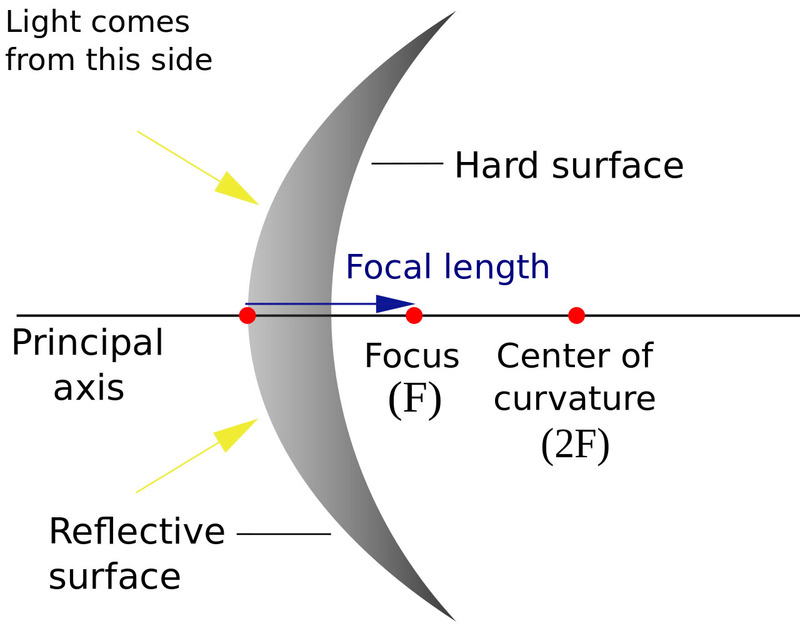 The surface of a curved mirror can be convex, which means bulging outward, or concave, bulging inward. A convex mirror reflects the light outwards and is therefore not used to focus light. Convex mirrors, or curved mirrors, always form a virtual image because the focus and centre of curvature are imaginary points inside the mirror and cannot be reached. This means that images formed by a convex mirror cannot be projected onto a screen. Also the image is smaller than the object projected, but gets larger as this object approaches the convex mirror. One of the most common uses for the convex mirror is the passenger-side mirror on your car. These convex mirrors are used for cars because they give an upright image and provide a wider field of view as they are curved outwards. Convex mirrors are also often found in the hallway of various buildings including hospitals, hotels, schools, stores and apartment building. Usually, these mirrors are mounted to a wall or ceiling at points where hallways cross each other or make a sharp turn. This eliminates blind spots and provides people with a good overview of their surroundings. The convex mirror is also used to provide safety for motorists on roads, driveways and in alleys where there is a lack of visibility. A convex mirror is also a simple way of improving the safety in your warehouse or production environment. In a work environment or warehouse convex mirrors can be placed at crossings or blind spots to enable workers to see approaching forklifts, other vehicles or approaching colleagues. This provides your employees with the necessary overview of their work environment and therefore increases the safety in your workplace. Another use of the convex mirror in this work environment is during the production process, such as on the conveyor belt to view your product from different angles. This can increase the quality of your products by becoming aware of any faults in the production and increase the efficiency of the production process by eliminating the necessity to check your products by picking them up from the conveyor belt. At JekaShop we put safety first and therefore we offer a lot of different types of convex mirrors, or as we call them: safety mirrors. Our convex mirrors come in different shapes and sizes. What they all have in common is that the mirrors are produced with lightweight materials whilst maintaining its robustness and functionality. Because of their robustness our mirrors can withstand all the elements and they can be used outside as well as inside. Traffic mirrors: recommended to increase traffic safety both inside and outside. In streets, minor roads, alleys and smaller lanes with bends where blind spots are a common hazard. Also to industrial estates where road users and pedestrians are in risk of accidents happening. Industrial mirrors: can be used to optimize traffic safety for industrial driveways where the driver has limited visibility. Can also be useful to increase the attention at danger spots in production and in warehouses. Shop mirrors: these mirrors provide a very practical solution for smaller areas, such as shops or other places where surveillance is required. It gives a very good overview when placed on the wall or shelving and can provide a different angle of your product. Have a look at our range of convex mirrors in our web shop. Do you have any questions about our safety mirrors? Don’t hesitate to contact one of our sales advisors.